Director Dónal Ó Céilleachair will introduce the film and take part in an audience Q&A after the screening. The Camino Voyage – A crew including musicians Glen Hansard and Brendan Begley, artist Liam Holden, stonemason Brendan Moriarty, and the late writer and poet Danny Sheehy embark on a voyage to the Camino by sea. 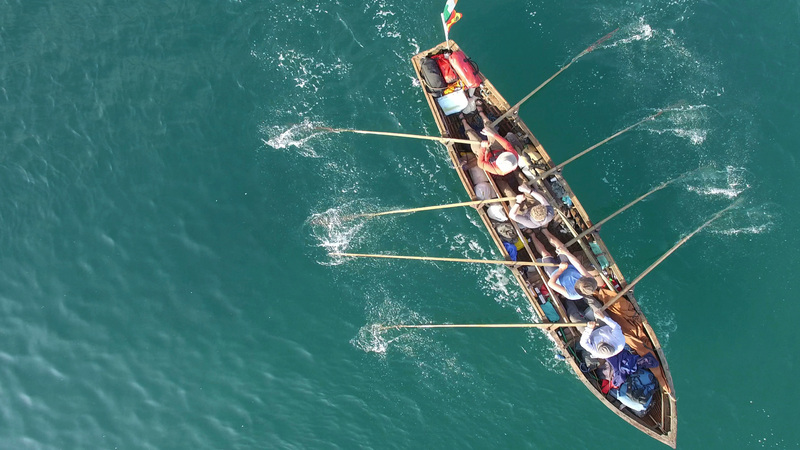 Together they take their naomhóg, a traditional boat they built themselves, on a gruelling 2,500km modern day Celtic odyssey all the way from Ireland to Northern Spain. Pulling into coastal towns and villages en route, camping, cooking and nursing their blisters, this eclectic crew forged many new relationships, surprising those they met with the simplicity of their vessel and inspiring them with their courage, endurance, storytelling, music, poetry and song. Dónal Ó Céilleachair’s uplifting and extraordinarily beautiful film celebrates this expedition which, in the words of the late Danny Sheehy, led to the ‘deepening and renewing of friendships, creativity and spirituality. Cert: PG.